U.S. Brooks Brothers online is offering a special sale during these days! 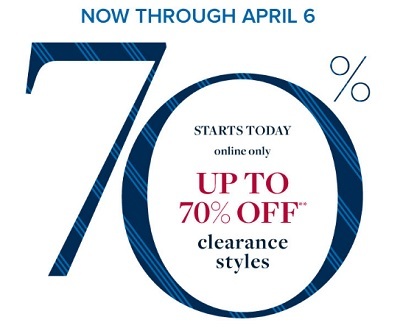 You can take up to 70% off clearances styles. No code needed to receive the offer. Plus, you can get a free standard shipping on online orders of $250 or more. Offer is valid until April 6, 2017, online only. Source of the information is Brooks Brothers. More details available at Brooks Brothers online.